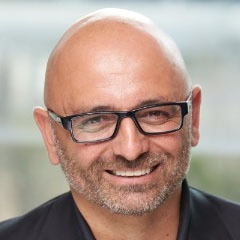 Editor's Note: This post was contributed by Nick Panayi, VP of Brand, Demand and Digital Marketing at DXC Technology. What does it mean to be a 60-year-old startup? And how can a brand-new enterprise share that vision with more than 155,000 employees spread over 70 countries? Two companies with more than a century of experience between them (CSC and HPE Enterprise Services) united in April 2017 to form DXC Technology. This new organization needed to build on the success of our legacy companies while blazing a trail to the future. “DXC Technology is a global, end-to-end IT services company that delivers powerful next-generation IT solutions to help clients transform digitally.” That’s the official company description, and it’s a good snapshot of who we are and what we do. But it doesn’t say how we do it, and that how is vitally important: Our employees are at the core of our value proposition. Their ability to work collaboratively with clients and solve tough business challenges is our differentiator in the industry. The success of our organization depends on showing the world just how great our employees are, and how they share DXC Technology’s values and vision. After we launched the new company, we had a small city’s worth of people working for DXC. They were scattered all over the world, with diverse local cultures, and they were coming from two different legacy companies. We needed to make this far-flung group of people feel like a community: able to collaborate, encourage each other, share ideas and build off each other’s successes. We wanted them to feel the excitement of the new company’s launch and be eager to share it with the world. We chose LinkedIn Elevate as a platform for building our new community, with an eye toward social amplification. Elevate is an amazing tool, but a tool is only as good as the work you make it do. We wanted to go beyond the typical application for employee advocacy and use the platform for building excitement about our launch, uniting our two companies in spirit as well as on paper. We started by making sure our marketing communications teams worldwide were ready to take on the mission. They needed to be leading the charge on the new platform, making sure there was great localized content for employees to read and share. That content was crucial for building buzz before and after our company launch. When you’re running a global enterprise, getting those regional teams on board early is crucial to engaging employees across countries and cultures. This early effort focused on the strengths of our new company. We told the story of our transformation in our own content. But we also curated third-party content about change management, digital transformation and thriving on change. We reached out to some of our organization’s trusted partners and analysts and had them produce short videos congratulating DXC on the launch. We loaded all that content into Elevate, so it would be full of interesting stories to share from day one. Once we had a solid queue of content, it was time to get employees to sign up for the program. While reaching out with email is effective, we wanted to make sure the launch felt special for our employees. So, we decided to market the platform to our team in the same way that we market our services to the world. We used a combination of marketing tactics, including Elevate’s Smart Recruiter and LinkedIn advertising (including Sponsored Content and InMails), to target our own employees. We wanted people to feel like they had a personal invitation from DXC, that we were reserving a seat on the platform just for them. Our internal marketing push got the entire organization talking about employee advocacy. We quickly signed up our first thousand, then 6,000, and then more than 10,000 active users. Now instead of trying to sell them on using the platform, employees are asking us when they can get a seat. It’s a powerful thing to tell someone, “We have this program for you to build your personal brand and boost the company’s brand, we’ve invested in a platform to make it easy, and we’re inviting you to a seat at the table.” People felt valued and honored, and they were excited to get started. The next challenge after getting people to join is making sure they feel compelled to use the platform every day. We try to refresh the content available as often as possible, so people always have a reason to check back. For internal communication, Elevate is one of the first platforms we broadcast to. We make sure every exciting new launch and all the latest company news items are in there. Our people can see how their shares are performing across not only LinkedIn but also Twitter and Facebook, with insight into how many re-shares, engagements and discussions their posts are generating. They can see how their shares are bringing more people both to the company’s social presence and to their own professional networks. Seeing that progress motivates them more than any leaderboard or rewards program could. We’re even inspiring more employees to contribute to the company blog. With the right platforms in place, and a commitment to helping our employees promote themselves, we now have a global program that helps position our employees as the thought leaders they are. Employees are sharing content 7 times more than before we started a formal program, with 6 times more engagement. We have also doubled the rate at which people follow our LinkedIn company page. Most importantly, our employees have a place to learn about our company, catch the vision and share it with the world. Our people are our company’s prime differentiator. Our employee advocacy program is an investment in them — and it’s an investment that continues to pay off.